This lovely Alfa Romeo 6C 1750 GS with convertible body by Castagna has just been added to the gallery. To illustrate the other possibilities on the same chassis, we've also updated the gallery of Zagato's 6C 1750 versions and we'd like to show you the James Young and Touring versions as well. 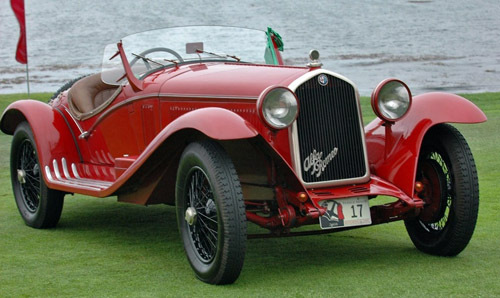 The Alfa Romeo 6C 1750 was produced in six series and evolved step by step from 1929 to 1933. Three models were available: the single overhead cam Turismo with 122-inch wheelbase and a maximum speed of about 110 km/h, the twin overhead cam Gran Turismo with 108-inch or 114-inch wheelbase and a top speed of about 130 km/h, and the Gran Sport, a supercharged Gran Turismo producing 85 hp and a top speed of 150 km/h. 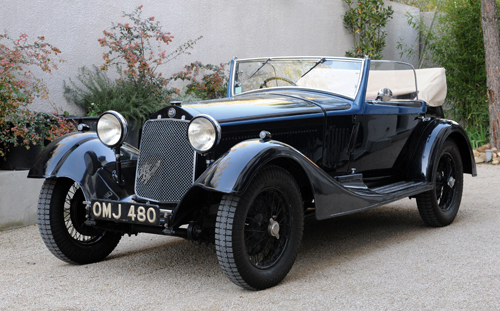 A total of 2,579 1750s were built, of which only about 360 were supercharged "GS" examples. 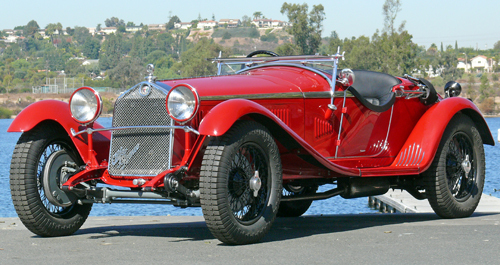 Most cars were sold as rolling chassis and bodied by coachbuilders like Zagato, Touring, Castagna and James Young. An example of a Castagna bodied 6C 1750 GS is pictured above and below you see a competition Grand Sport Roadster example by Zagato. Click here to see more of Zagato's creations. The gallery for the Touring bodied examples is still on our to-do list, but some very nice examples can be seen in our FORUM. Click here for the James Young Alfa Romeo 6C 1750 gallery and see even more very interesting variations on the same theme in our FORUM.